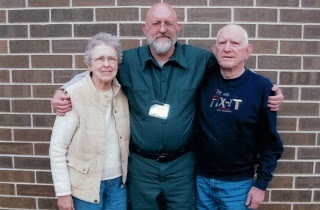 waiting for parole: Scott Howard/ Does rehabilitation Count? Scott Howard/ Does rehabilitation Count? Scott Howard was 29 years old when he was arrested and is now 59 years old. He was convicted of First degree Murder, Arson, Theft, Endangering Safety, Fraudulent Insurance Claim and subsequently pleaded guilty on an unrelated case to Threats to Injure and False Imprisonment and was sentenced to Life plus 29 years 9 months. Under “old law” he became eligible for parole in 1997 and has had 10 parole hearings and waived the eleventh. At each hearing he was denied for the same reasons of "Unreasonable risk to society" and "Have not served enough time for punishment". Both his codefendants have been released. He has taken every program he can and met all requirements. His list of completed programs and course covers an entire 8X11 page. "We have always been a close, loving family and as his parents we have suffered great loss, deep painful loss and Scott's absence has been very difficult for us to accept and we miss him every day. We are at an age we need our son's help around our house. Both of us had heart surgery and have not been able to travel back to Wisconsin to visit him. We are 90 years of age and need more help in getting around. Scott has no one close enough to visit him, which is heart breaking for him to be so alone. We raised his daughter who is 40 now, we have watched how the absence of her father has greatly affected her life. Her mother was not present in her life either. As a family unit we gave her a good family life. She was affected emotionally. She went through her share of problems; her son, Scott's grandson, has a dysfunctional mental problem and would benefit from his grandfathers help." Besides the incredible heartbreak to so many, why are we wasting money keeping this man in prison when those funds are needed so desperately elsewhere. We do not agree with this incarceration and demand he be given his freedom as soon as possible. My name is Scott Howard and my number is 164177. I had just turned 29 years old when arrested and am now 59 years old and will turn 60 in October. 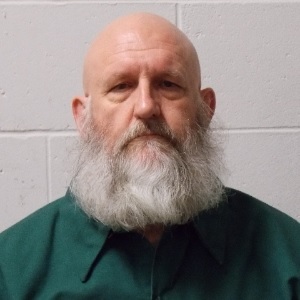 I was convicted on 10-1985 of First degree murder, Arson, Theft, Endangering safety, Fraudulent insurance claim and subsequently pleaded guilty on an unrelated case to Threats to injure and False imprisonment. I was sentenced to Life plus 29 years 9 months. "Unreasonable risk to society",and "Have not served enough time for punishment". get sent to minimum to even be considered to be paroled under D.O.C. rules. I have done everything asked of me and more and have maintained employment the entire time of my incarceration. I have learned every skill and trade could in order to be prepared to find work and live a productive life should I ever be released back into society. (see programs completed list) It all seems to have been for nothing, as the parole commission does not take any of these factors into consideration upon determining readiness for parole. I waived my last parole hearing because the outcome is prede­termined before the hearing ever takes place. It has become too heart breaking to have to tell my elderly parents year after year that I am not coming home again and to hear them cry knowing they may never see me again as they can no longer travel such a long distance to come see me. Scott did horrible things . It is now 30 years later and Look above at his accomplishments. In Parole consideration below,rehabilitation is not taken into account., only the crime which noone can change. Claim. Finally there is case 84CF1177 (AB) Ct# 10, Threats to Injure or Accuse of Crime(PTAC) and Ct#11, False Imprisonment (PTAC). Your PED date for these cases is 2-19-14, noting that you have now served approximately 28 years and 4 months on a combined LIFE sentence + 25 year/ 3 month sentence. According to the record this case involved you and two co-actors, in a gang related action, burning down a building wherein an adult female was killed. Your role was to hold the victim until she lost consciousness. You then left her in the building to burn to death. You admit to the behavior (striking the victim in the head), stating that your co-actor Alvin Hegge (National Vice President of the Ghost Riders gang) ordered the burning of the bar (to collect insurance money) and the killing of victim who you claim was a snitch. YOu also expressed regret for the behavior and the harm that was done. In so doing you also expressed disappointment that your case is evaluated differently than the co-actor who have both been granted release. At 58 years of age this is your 1st incarceration yet you have a significant criminal record, noting a Federal case for Conspiracy to Possess Firearms. Your conduct while, incarcerated includes 0 minor and 3 major CR's with all three occurring while in Federal custody. You returned from Federal custody 12/08 and have had no further issues related to conduct. You have no unmet essential treatment needs having none identified for you. Your release plan notes that you would like to live with your parents in Washington State. This may be workable, but will need your agent's approval and an Interstate Compact when time frames are more appropriate. Based on the nature and severity of the case and the brutal taking of a life it is clear that more time is warranted so as not to depreciate the severity of your offending behaviors and therefore the decision by the Commission will be to defer your case for 12 months. - My name is Heather Carrell and I am writing on behalf of my stepdad, Scott Howard 164177.1 would like to ask that you grant parole to Scott when he appears before you at his parole hearing. I am a devoted wife, mother to four wonderful kids and hardworking independent insurance agent in Spokane WA. I have a Bachelor's Degree from Eastern Washington University. I am a successful and productive member of society for which Scott can take a great deal of credit for. I was only ten years old when Scott went to prison, however through phone calls and letters he has been a fantastic parent to me. He has guided and counseled me on making good choices as I went through my teen years then became a wife and mother. His disappointment when I made mistakes was enough many times as I was growing up to keep me from repeating poor decisions. Scott's loving and supportive parents are older and their health is deteriorating, they would benefit greatly from having Scott home to help care for them and spend time together before they are gone. It has become more difficult for them to travel to visit him. He has a large supportive and loving family waiting to welcome him home. My husband and I are more than willing to provide Scott with every aspect of support and love that he needs. In 2012 my mom passed away and left my children with the void of a grandparent that Scott could very well help to fill for them. They would benefit greatly in having him there supporting and cheering them on at their sporting events, concerts and academic achievements. I whole heartily believe that Scott would be a good and productive citizen if her were returned to society. It is my sincere hope that the Division of Parole will give his parole release every consideration. Thank you for taking the time to consider my letter. I am proud to call this man my daddy! It is outrageous that with all his accomplishments and no conduct related issues while incarcerated that they continue to keep him from me and my family. I was 9 years old when my dad was taken from me. I will be 40 in August. My son (my dad's only grandchild) is now 21. He has seen his grandpa once in his whole life. We need to fight this injustice! I need my dad to come home to me. I am still that little girl who needs her daddy. I love you so much dad! He paid his dues, let him get past it and continue a healthy future. Good luck.